Lucassen P, Stortenbeker I, Van den Muijsenbergh M. Context is (bijna) alles. Huisarts Wet 2019;62:DOI:10.1007/s12445-019-0091-1. Heath I. Divided we fail. Clin Med 2011;11:576-86. Golden SD, Earp JAL. Social ecological approaches to individuals and their contexts: twenty years of health education and behavior health promotion interventions. Health Educ Behav 2012;39:364-72. Grundmeijer HGL, Rutten GEHM, Damoiseaux RAMJ. Het geneeskundig proces. Bohn, Stafleu van Loghum: Houten, 2016. Petrie KJ, Rief W. Psychobiological mechanisms of placebo and nocebo effects: pathways to improve treatments and reduce side effects. Annu Rev Psychol 2019;70:1-27. Hagger MS, Koch S, Chatzisarantis LD, Orbell S. The common-sense model of self-regulation: meta-analysis and test of a process model. Psychol Bull 2017;143:1117-54. 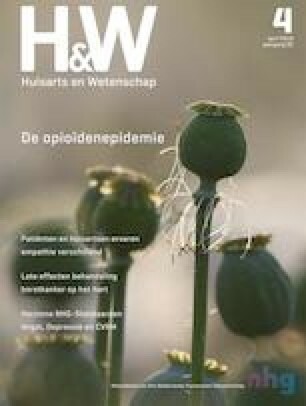 Olde Hartman TC, Van Ravesteijn H, Lucassen P, Van Boven K, Van Weel-Baumgarten E, Van Weel C. Why the reason for encounter should be incorporated in the analysis of outcome of care. Br J Gen Pract 2011;61:e839-41. Lucassen P, Olesen F. Context as a drug: some consequences of placebo research for primary care. Scan J Prim Health Care 2016;34:428-33. Flückiger C, Del Re AC, Wampold BE, Horvath OA. The alliance in adult psychotherapy: a meta-analytic synthesis. Psychotherapy 2018;55:316-40. Mani A, Mullainathan S, Shafir E, Zhao J. Poverty impedes cognitive function. Science 2013;341:976-80. Barnett K, Mercer SW, Norbury M, Watt G, Wyke S, Guthrie B. Epidemiology of multimorbidity and implications for health care, research and medical association: a cross-sectional study. Lancet 2012;380:37-43. Centraal Bureau voor de Statistiek. Armoede en sociale uitsluiting 2018. Den Haag: CBS, 2018. Algemene Rekenkamer. Aanpak van laaggeletterdheid. Den Haag: Algemene Rekenkamer, 2016. Håkansson Eklund J, Holmström IK, Kumlin T, Kaminsky E, Skoglund S, Höglander J, et al. Same or different? A review of reviews of person-centered and patient-centered care. Pat Educ Couns 2019;102:3-11.